Time to get serious about finding a job! This is the 11th blogpost from Nicolin Mamuya, the first ESOMAR Foundation scholarship in South Africa. Nicolin starts making plans for the future! The time for applying for jobs and graduate programs has finally arrived. The reality of possibly working a 9 to 5 job does not sit well with my friends and me. However, I am excited and hopeful that I will get an amazing job this year. The plan is to apply for any marketing related vacancies that I qualify for. The immense workload in school has just become the norm. The ups and downs can make any student have a mental breakdown. The trick is time management and constant positivity. I will be starting my exams this month, with the first exam being a group presentation to Unilever on the 22nd of May. Ridwannah, Farzaana and Patience, the girls who attended the ESOMAR conference with me in 2016, are part of my team, which makes me confident that this exam will end well. I would be lying if I said that the ESOMAR conference experience did not bring us closer. A good friend of mine, who completed her degree, last year, gave me a rather funny piece of advice. As I was venting about how life is just so difficult, she told me to be a pineapple about it. 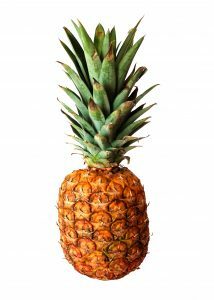 So apparently, being a pineapple means standing tall, holding on to your crown and remaining positive (the sweetness of the pineapple signifies positivity). That was very creative of her, especially because I love pineapples.